When it comes to thrill-seeking, there can only be two places in the Philippines that can offer me the best of it: Bohol and Davao. Head to Davao for a white water rafting adventure of a lifetime. But for now, let’s talk Height! This is a common conversation among my friends. 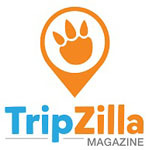 Where do you intend to go in Philippines? BORACAY! Yes, Boracay is the epitome of beautiful waters and white sandy beaches. Adventurers and thrill seekers, fret not! I have just the medicine for your craziness, and it’s called THE PLUNGE. You would have to do a 45 minutes oops, sorry I mean 45 meters free fall before being launched on a pendulum swing measuring to a hundred meter diameter. Cable has a maximum working load of 5 tons. I think they have extended another 70 meters. Well, good for you, mate! So this will be (for some of you), the most craziest 10 mins of your life! Now, I can either tell you in words how the whole process went (which is gonna be boring for you to read) OR you can check out this video of The Plunge. The Plunge, Bohol, Philippines from Eudaimoniacs on Vimeo. 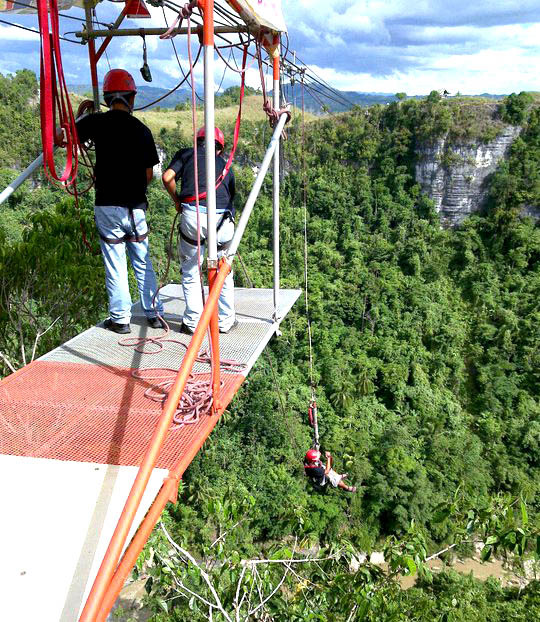 Another activity to try in E.A.T Danao is the subdued version of the one above, called Suislide. You should try this first as a warm up. Suislide is basically a zip-line consisting of a pulley suspended on a cable mounted on an inclined cliff. The Suislide has two lines, going forth and back. It traverses around half a kilometer from one mountain to another, taking you to less than a minute of exhilarating ride. Buses and v-hires are at Integrated Bus Terminal – Dao – Dampas, Tagbilaran City. Bus will only be at Poblacion, Danao. Motor for hire (habal-habal) are available to transport guests going to the Adventure Park at P40.00/person. Disclaimer: No refunds should you choose to back out.